We came home to the leftover rice box pulled out of the trash, and all of the rice was gone. My Jack Russell does this all the time. Aww…could be worse, at least rice won’t give him room-clearing toxic farts or anything! 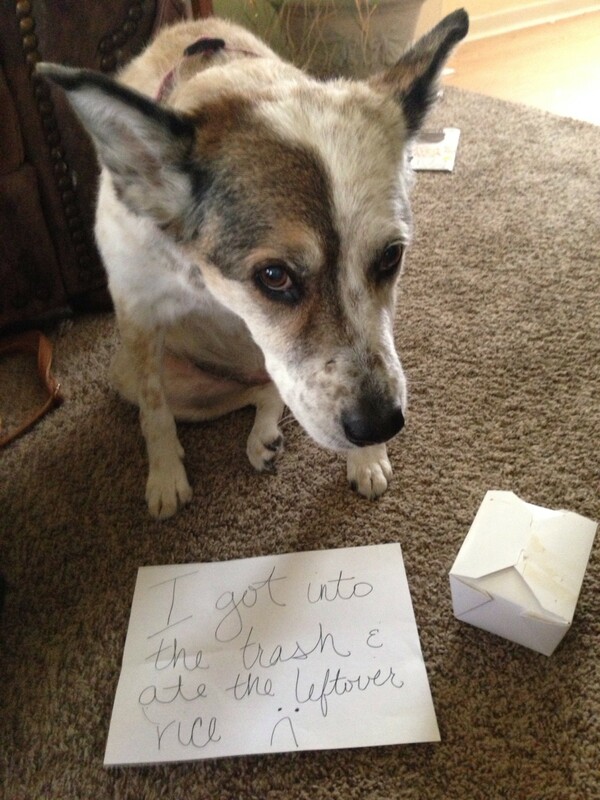 He looks sad, though – he was hoping for meat & veggies! That’ll teach YOU to throw out the rice!! Oh, he is so cute. Just love him. I love it when they hunch over like that and truly LOOK shamed!